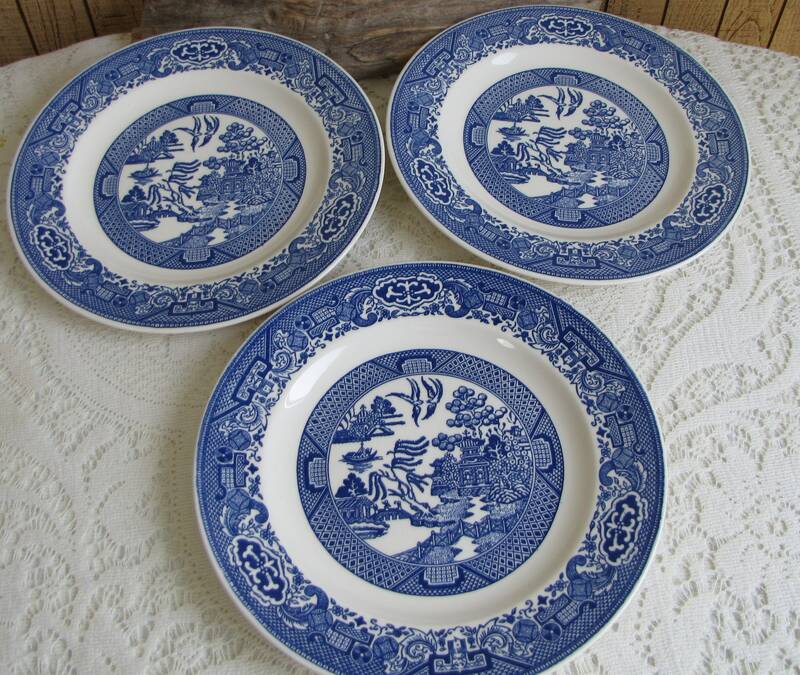 This listing is for 3 blue willow luncheon plates made by Royal China from Sebring, OH that are in very good vintage condition with no chips, cracks, or crazing; hardly a mark on them. 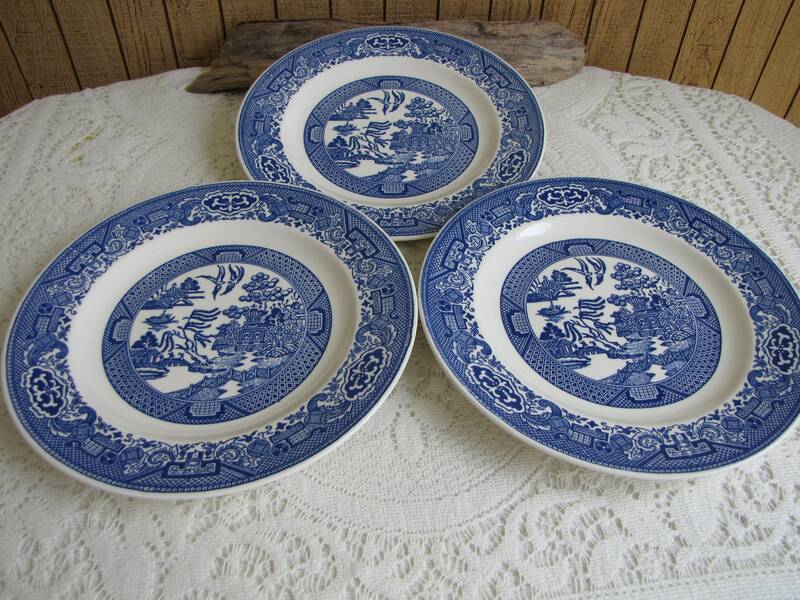 The plates measure 9 inches in diameter. 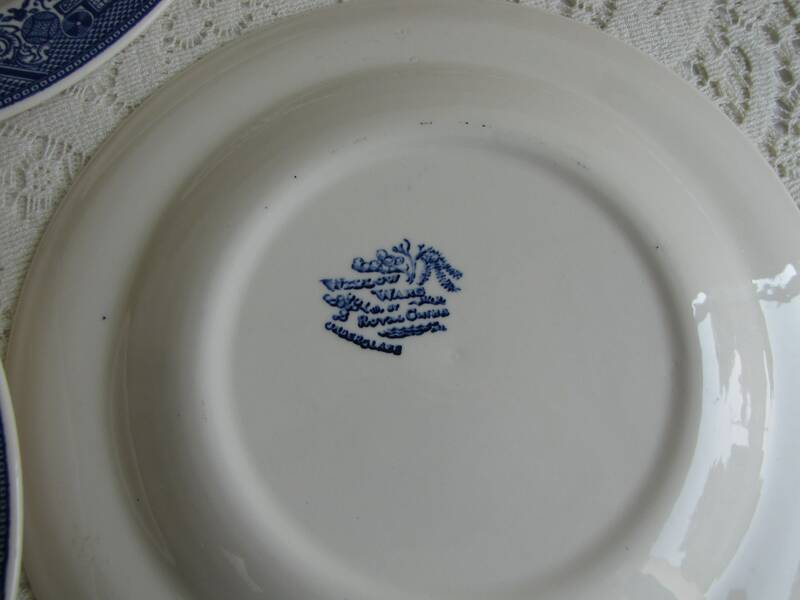 Royal China Company opened in June 1934 in the old E. H. Sebring China Company building. 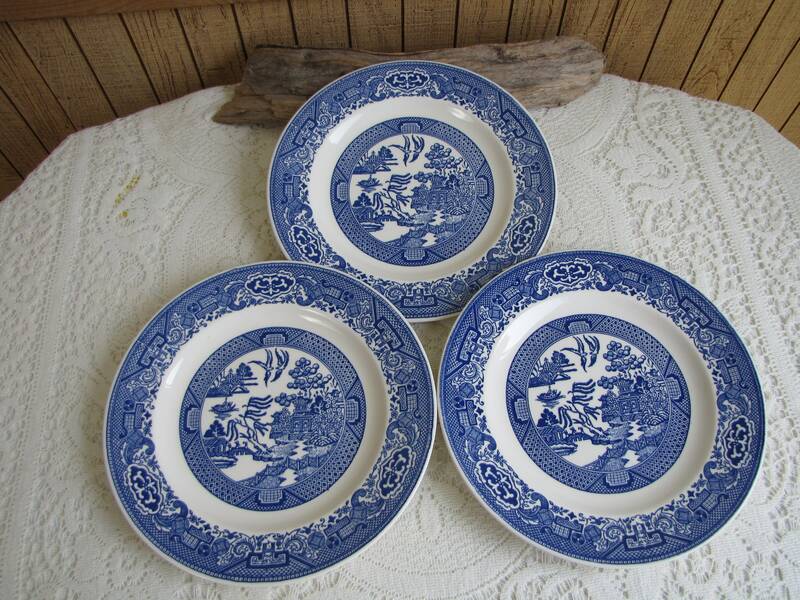 They were sold to Jeannette Glass Corporation in late 1969. Jeannette kept the company running in the original building until it was destroyed by fire in February, 1970 when it then operated in the French Saxon China Company building. 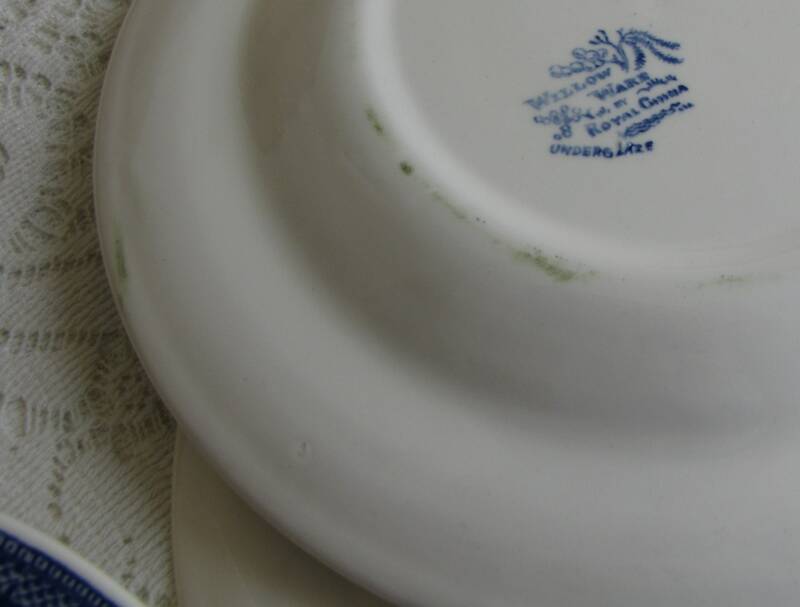 The Royal China Company was purchased by Coca Cola Bottling Company of New York in 1976 until 1981, when they sold it to a group of private investors called the "J" Corporation. This group ran the company until 1984. Royal was sold for the last time to the Nordic Capital Corporation of New York City in 1984, filing bankruptcy in March 1986 before going out of business. In the late 1700s, an Irishman, John Brooks, invented “transfer printing” which allowed pieces to be mass-produced from patterns engraved on copper plates; eliminating the need for hand painting. 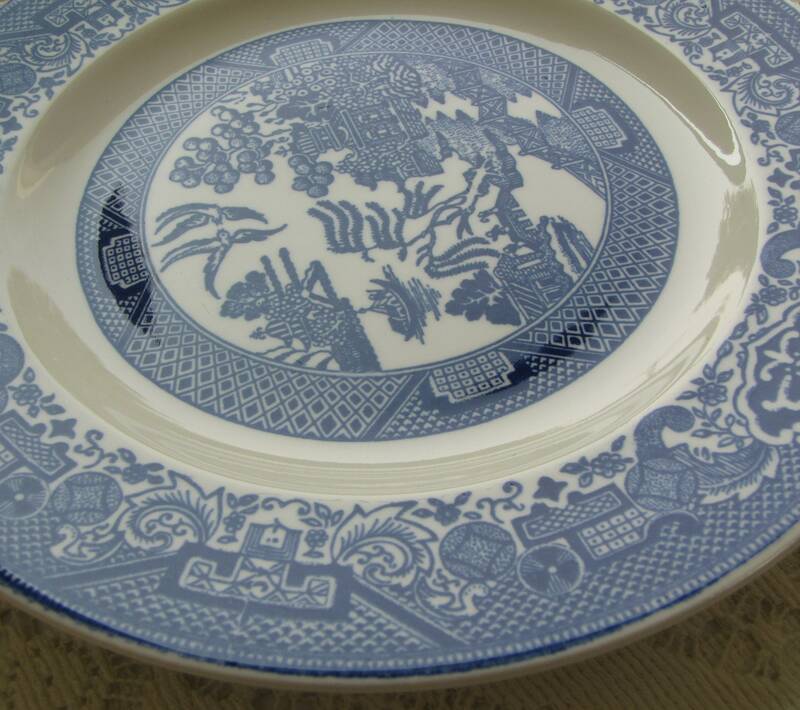 In the 1790s, Thomas Turner and Thomas Minton copied Chinese patterns onto copper plates. 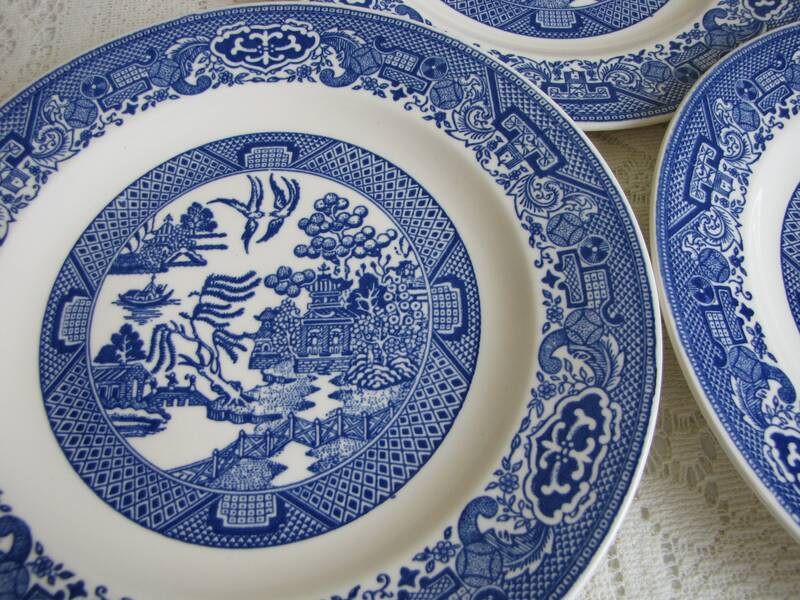 While Josiah Spode developed an improved paper for transfer printing producing the standard willow pattern. 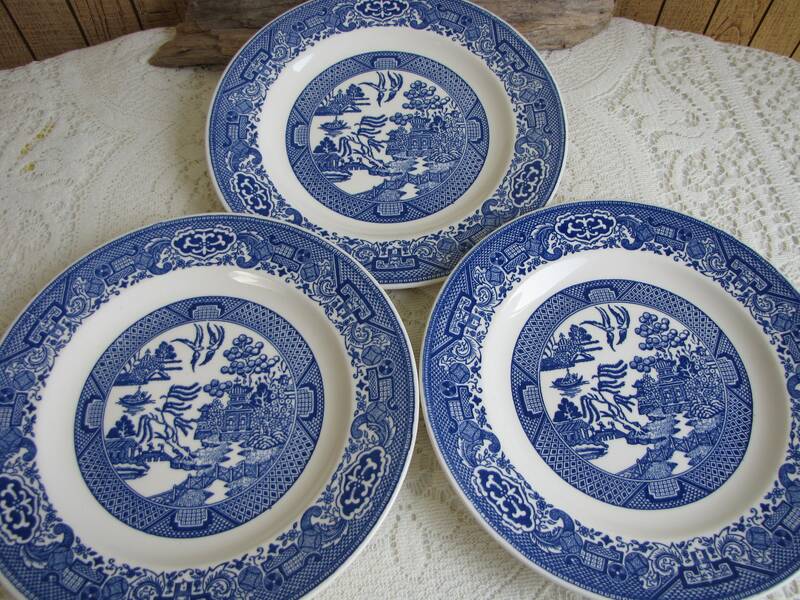 By 1830, there were about 200 makers of underglaze blue willow in England. 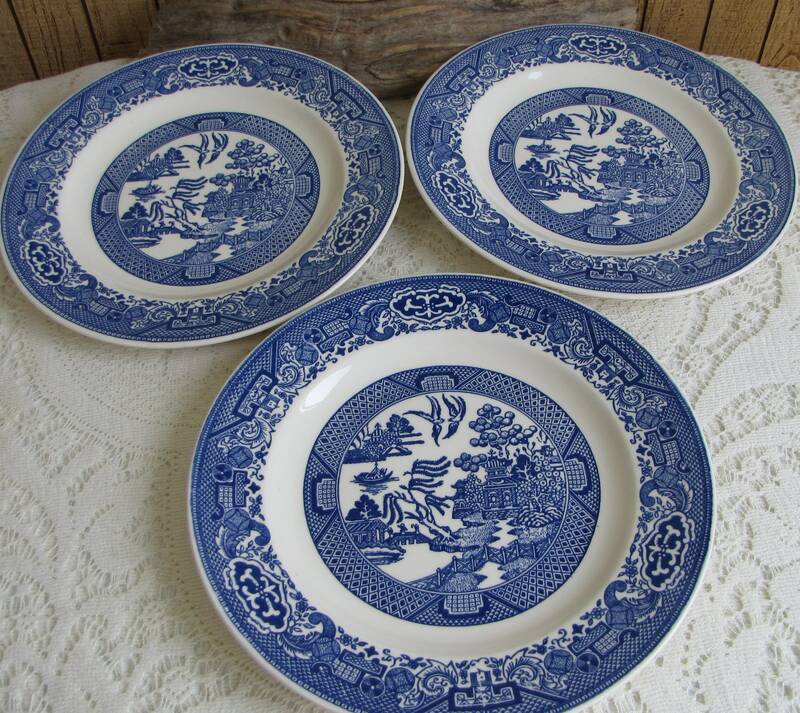 In 1905, Buffalo Pottery was the first U.S. company to make the standard willow pattern using the transfer print method.